1. Apple III (1981) — The successor to the very popular Apple II was focused on business users and priced accordingly. Unfortunately, the hardware was unreliable. Apple lost the business market to the IBM PC, launched the same year, and a rapidly expanding market of PC clones. 2. Lisa (1983) — The first commercially produced computer with a graphical user interface cost $9,995 when it launched. It quickly fell into the shadow of the cheaper Macintosh, launched a year later. 3. NeXT Computer (1989) — Jobs' venture after being forced out of Apple created a computer that was in many ways ahead of its time, but in the vein of the Apple III and Lisa, it was also too expensive to catch on with mainstream users. 4. Puck Mouse (1998) — The new iMac was the first major product created after Jobs' return to Apple in 1996, and it was a big success, despite its tiny, round mouse. Users couldn't tell which way it was oriented by feel, and it tended to disappear in the cup of the hand, making it hard to use. 5. The Cube (2000) — This small desktop computer was beautifully encased in a cube of clear plastic. It won design awards but was a flop in stores because of its high price. Also, it didn't really offer any functional benefits over other Macs. Apple's designs are iconic, but people aren't usually willing to pay a premium for design alone. The Cube idea lives on in the Mac Mini, a more successful but less eye-catching small Mac. 6. iTunes phone (2005) — It's easy to forget that the iPhone wasn't Apple's first venture into the cellphone business. It formed a partnership with Motorola Inc. to launch the ROKR in late 2005. As a phone, it was decent if unexciting, but as a music player, it fell far short of the iPod. It could only hold 100 songs, and transferring them from the computer was a slow process. It was also criticized for not allowing users to download music over the cellular network, a limitation that also applied to the first iPhone. Some even called the ROKR "the iPhone." 7. Apple TV (2007) — Apple's foray into the living room was an uncharacteristically half-hearted effort — Jobs later referred to the Apple TV as a "hobby." It was a small box that connected to a TV and to a Mac in the home. A tiny remote allowed the owner to play music and movies from the PC on the TV. It was expensive, at $249, and complicated to set up and use. Movies purchased from iTunes were low resolution and looked blurry on HDTV sets. In 2010, Apple introduced a much improved, cheaper Apple TV designed to connect directly to the Internet. The man in the black shirt and jeans who knew people would fall in love with the iPod, iPhone and iPad before they did is stepping back from Apple Inc., which grew into one of the world's strongest companies as its leader's health failed him.Steve Jobs' resignation Wednesday appears to be the result of an unspecified medical condition for which he took a leave from his post in January. Apple's chief operating officer, Tim Cook, was quickly named CEO of the company Jobs co-founded in his garage 35 years ago. In a letter addressed to Apple's board and the "Apple community," Jobs said he "always said if there ever came a day when I could no longer meet my duties and expectations as Apple's CEO, I would be the first to let you know. Unfortunately, that day has come." "Apple is Steve Jobs, Steve Jobs is Apple, and Steve Jobs is innovation," said Trip Chowdhry, an analyst with Global Equities Research. "You can teach people how to be operationally efficient, you can hire consultants to tell you how to do that, but God creates innovation. 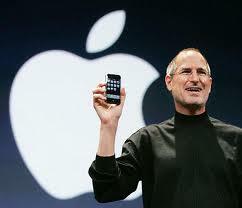 ... Apple without Steve Jobs is nothing." Earlier this month Apple became the most valuable company in America, briefly surpassing Exxon Mobil. At the market close Wednesday its market value was $349 billion, just behind Exxon Mobil's $358 billion. Jobs' hits seemed to grow bigger as the years went on: After the colorful iMac computer and the now-ubiquitous iPod, the iPhone redefined the category of smart phones and the iPad all but created the market for tablet computers. His own aura seemed part of the attraction. On stage at trade shows and company events in his uniform of jeans, sneakers and black mock-turtlenecks, he'd entrance audiences with new devices, new colors, new software features, building up to a grand finale he'd predictably preface by saying, "One more thing." Jobs, 56, shepherded Apple from a two-man startup to Silicon Valley darling when the Apple II, the first computer for regular people to really catch on, sent IBM Corp. and others scrambling to get their own PCs to market. After Apple suffered a slump in the mid-1980s, he was forced out of the company. He was CEO at Next, another computer company, and Pixar, the computer-animation company that produced "Toy Story" on his watch, over the following 10 years. Apple was foundering as he returned as an adviser in 1996 — a year it lost $900 million as Microsoft Windows-based PCs dominated the computer market. The company's fortunes began to turn around with its first new product under Jobs' direction, the iMac, which launched in 1998 and sold about 2 million in its first 12 months. 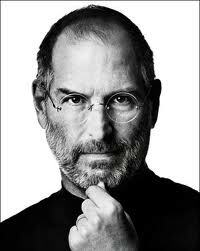 Jobs eventually became interim CEO, then took the job permanently. Apple's popularity grew in the U.S. throughout the 2000s as the ever-sleeker line of iPods introduced many lifelong Windows users to their first Apple gadget. Apple created another sensation in 2007 with the iPhone, the stark-looking but powerful smart phone that quickly dominated the industry. The iPad was introduced less than a year and a half ago but has already sold nearly 29 million units as it inspired myriad rivals in a tablet computer market that scarcely existed before Apple stepped in. As Jobs was praised for his vision, concerns about his health persisted. The January leave was Jobs' third medical leave over several years. He had previously survived pancreatic cancer and received a liver transplant. Better check your Facebook settings before posting a party invitation online.A teenage girl in Germany who forgot to mark her birthday invitation as private on Facebook fled her own party when more than 1,500 guests showed up and around 100 police officers, some on horses, were needed to keep the crowd under control. The birthday girl, identified only as Thessa, went into hiding, Streiber said, but "nonetheless the party was a hit." Thessa had initially only wanted to ask some friends over to her home in Hamburg-Bramfeld when she posted her invitation on Facebook, but mistakenly she published it so that everyone on Facebook could see it. The invitation quickly went viral, and some 15,000 people confirmed online they would come to the party — without even knowing the girl, weekly paper Bild am Sonntag reported. When Thessa's parents found out, they made their daughter cancel the party, informed police and hired a private security service to protect their home on Friday night. Despite public announcements in Hamburg that the party had been canceled, some 1,500 teenagers and young adults showed up on the street in front of Thessa's home, Streiber told The Associated Press. "We had cordoned off the house, some 100 police were on the ground, four of them on horses — but that did not keep the kids from celebrating," Streiber said. Some revelers held up signs asking "Where is Thessa?" others brought birthday presents and homemade cake, there was lots of alcohol and the crowd chanted again and again, "Thessa, celebrating a birthday is not a crime," — in obvious relation to the massive police presence, Bild reported. The police officer was injured when he tried to keep a party reveler from breaking off the Mercedes-Benz logo of his patrol car. "It was sheer insanity but mostly peaceful," Streiber summed up the night with a laugh. As for Thessa — she was nowhere to be seen. Police confirmed she "was not at home that night" and Bild reported that she celebrated quietly with her grandparents at an undisclosed location.